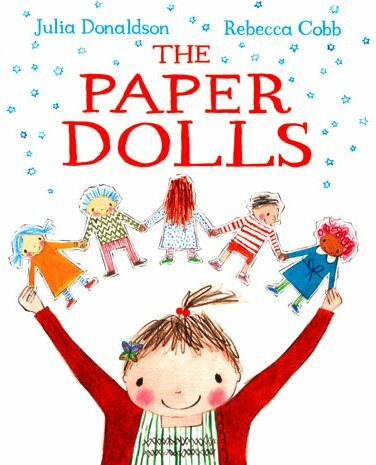 This is a story about a little girl and the paper dolls her mother helped her to make. It’s also a story about the circle of life. From Julia Donaldson, author of the much-loved The Gruffalo, comes The Paper Dolls. A little girl and her mother make a string of five paper dolls. The dolls have all sorts of adventures together until one day a boy cuts them up with his scissors! It’s quite the catastrophe and as pieces of the paper dolls fly away into the wind, you wonder what the little girl will do. But the dolls are not forgotten. In fact the memory of them and what happens next is simply exquisite (and made this mum a little teary!). This is one of those very rare books that appears relatively simple at first but then reveals many layers. Mentions of a butterfly hair slide, the paper dolls, “a kind granny”, and the shared experience between mothers and daughters introduces concepts of memory, life and death. Donaldson has the lightest touch with her words and they are matched perfectly by Rebecca Cobb’s delicate, warm illustrations. This is a very special book indeed. 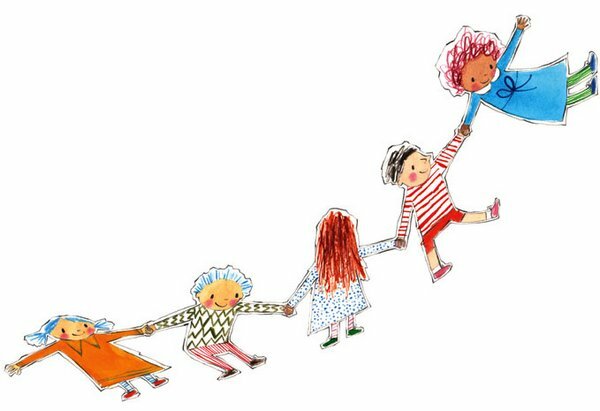 The Paper Dolls is suitable for children aged four and over. Find it online at Book Depository.